4-Word Review: Life under Papa Doc. Based on the novel by Graham Greene the film centers on Brown (Richard Burton) an emotionally detached British hotel owner residing in Haiti. He has spent years avoiding the political turmoil of the region and the Francois ‘Papa Doc’ Duvalier regime, but finds now that the walls may finally be closing in. He must deal with the suicide of a government official that occurs on his grounds in his pool as well as a visiting American couple (Paul J. Ford, Lillian Gish) with strong political connections. His ongoing affair with the wife (Elizabeth Taylor) of a South American diplomat (Peter Ustinov) risks him further trouble as does his friendship with an illegal arms dealer (Alec Guinness). The film ebbs-and-flows unevenly and isn’t compelling despite some strong moments here and there. What grabbed my attention was the vivid on-location shooting that gives the movie an interesting visual appeal. Because of the political environment going on in Haiti the producers were not allowed to film there and instead choose the small African country of Benin, which was still called the Republic of Dahomey at the time, as their substitute setting. The contrast of the serene tropical landscape juxtaposed with the abject poverty of its citizens is stunning with the most impactful moment coming when they visit Duvalierville a planned city with expensive buildings and homes being constructed with poor homeless people scurrying around begging for money as the structures go up. 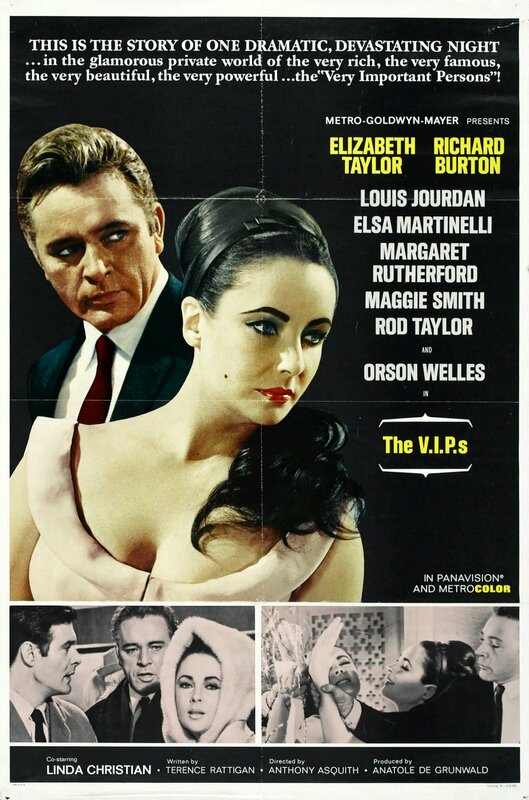 The acting though by Richard Burton is atrocious and a major hindrance. I like Burton and consider him in most productions that he has been in to be a very strong actor, but here he doesn’t seem into the part at all. His presence is quite aloof and conveys little emotion to the point that he seems to be just walking through his role and mouthing his lines. Taylor on the other hand is quite strong and manages to speak with an authentic sounding German accent. She made many bad film choices later her in career that ended up stigmatizes her acting reputation, but if given the right script and a competent director she could clearly convey an onscreen brilliance, which she does here. Unfortunately she is not seen enough and appears only sporadically throughout. If this is supposed to be a Taylor/Burton picture then the two needed equal screen time and prominent roles instead of one being relegated to what seems like only a minor part. The supporting cast is excellent and this is a great chance to see up-and-coming African American actors when they were just starting out including: Raymond St. Jacques, James Earl Jones, Cicely Tyson, George Stanford Brown, and Zakes Mokae. Gish and Ford offer a surprisingly profound moment when they follow a procession of singing happy young children into a forum for what they think will be a religious ceremony only to find to their shock that everyone is there to witness a firing squad execution instead. The story has its moments, but I would’ve preferred if it had been a little more focused. At times it is compelling, but it drifts back and forth between too many different story threads and never comes together as a whole not to mention a limp ending that leaves no impact. 4-Word Review: Bitchy lady rules island. Flora ‘Sissy’ Goforth (Elizabeth Taylor) lives on a secluded island in a large mansion and surrounded by servants who cater to her every whim. She has alienated most everyone she has come into contact with and relies on her secretary Miss Black (Joanna Shimkus) to write down her autobiography that she dictates to her indiscriminately throughout the day. In comes Chris Flanders (Richard Burton) a nomadic poet living on the skids who infiltrates her palace and her oppressed sexual desires with his ruggedness and mystery. Will Sissy fall under his seductive spell, or does this mysterious stranger have even darker intentions? 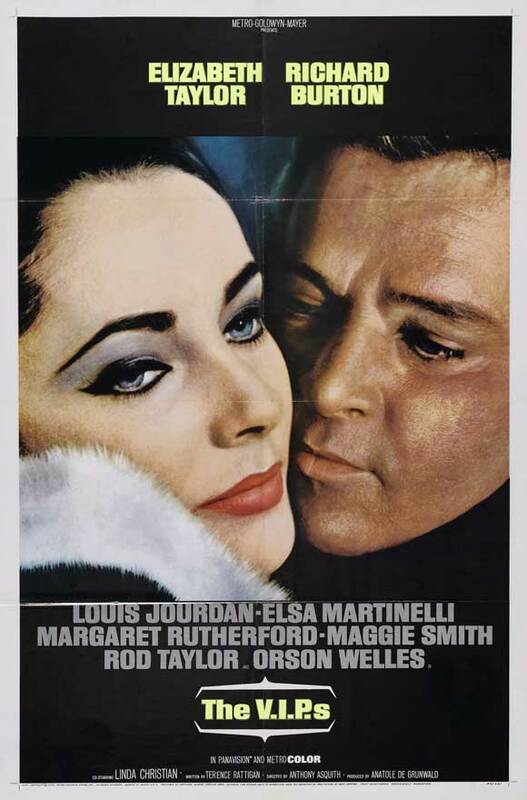 The film was directed by Joseph Losey who is one of the more inventive and groundbreaking directors who ever lived and sadly doesn’t get enough recognition. Unfortunately he was going through a bout of depression when he made this film, which caused him to abuse alcohol and seriously affected the film’s final result although it still manages to be a fascinating visual excursion nonetheless. The location shooting, which was done almost entirely on the island of Sardinia, is dazzling. The shots of the steep cliffs and crystal blue water, which are literally a part of Sissy’s backyard, are breathtaking. The modernistic mansion that she lives in is equally sumptuous particularly with its myriad collection of art paintings and wet bars that seem to pop-up every few feet in whatever room or patio the characters are in. The acting is also outstanding as Taylor eats up the scenery with her over-the-top bitchiness and unexplained anxiety attacks, which she takes to an unprecedented campy level. The outrageous hat that she wears to her dinner date is quite possibly one of the most bizarre things ever to be put on top of a human head. The normally commanding Burton unfortunately comes off as weak in comparison and overall looks uncomfortable in his role. The script originally called for a young man in his 20’s for the part and thus casting Burton, who was already 42 at the time, seemed misguided. Dwarf actor Michael Dunn is excellent in support. His character utters only three words, but still makes his presence known with the way he shows complete control over his attack dogs while playing of all things Sissy’s bodyguard. Playwright Noel Coward appears in a fun bit as one of Sissy’s friends who she invites over for dinner. The friends secretly disdain each other in private, but put on a superficial friendship when together and apparently this is also how the two performers behaved with each other behind-the-scenes as well. Unfortunately the script, which was written by Tennessee Williams and based on his play ‘The Milk Train Doesn’t Stop Here Anymore’ leaves much to be desired. The plot meanders on to an unsatisfying conclusion while rehashing old themes that had already been used in his earlier and better known works.